Philip Lieberman, The Theory that Changed Everything: “On the Origin of Species” as a Work in Progress (New York: Columbia University Press, 2017), 232 pp. Publisher’s description Few people have done as much to change how we view the world as Charles Darwin. Yet On the Origin of Species is more cited than read, and parts of it are even considered outdated. In some ways, it has been consigned to the nineteenth century. In The Theory That Changed Everything, the renowned cognitive scientist Philip Lieberman demonstrates that there is no better guide to the world’s living—and still evolving—things than Darwin and that the phenomena he observed are still being explored at the frontiers of science. In an exploration that ranges from Darwin’s transformative trip aboard the Beagle to Lieberman’s own sojourns in the remotest regions of the Himalayas, this book relates fresh, contemporary findings to the major concepts of Darwinian theory, which transcends natural selection. Drawing on his own research into the evolution of human linguistic and cognitive abilities, Lieberman explains the paths that adapted human anatomy to language. He demystifies the role of recently identified transcriptional and epigenetic factors encoded in DNA, explaining how nineteenth-century Swedish famines alternating with years of plenty caused survivors’ grandchildren to die many years short of their life expectancy. Lieberman is equally at home decoding supermarket shelves and climbing with the Sherpas as he discusses how natural selection explains features from lactose tolerance to ease of breathing at Himalayan altitudes. 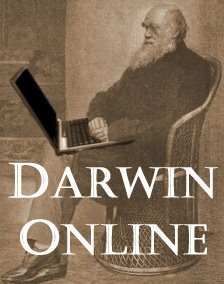 With conversational clarity and memorable examples, Lieberman relates the insights that led to groundbreaking discoveries in both Darwin’s time and our own while asking provocative questions about what Darwin would have made of controversial issues today, such as GMOs, endangered species, and the God question. This book is reviewed, along with three other new titles about Darwin, in the Times Literary Supplement, and the author of said review discusses it for the TLS podcast. And a so-so review from Publisher’s Weekly. Kostas Kampourakis, Turning Points: How Critical Events Have Driven Human Evolution, Life, and Development (New York: Prometheus Books, February 2018), 384 pp. Publisher’s description Critical historical events–or “turning points”–have shaped evolution and continue to have a decisive effect on individual lives. This theme is explored and explained in this lucid, accessible book for lay readers. The author argues that, although evolution is the result of unpredictable events, these events have profound influences on subsequent developments. Life is thus a continuous interplay between unforeseeable events and their decisive consequences. As one example, the author cites the fusing of two chromosomes, which differentiated the human species from our closest animal relatives about 4 to 5 million years ago. This event was not predictable, but it had a profound effect on the evolution of our species thereafter. By the same token, certain unpredictable circumstances in the past enabled only Homo sapiens to survive to the present day, though we now know that other human-like species also once existed. 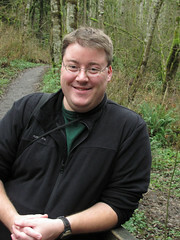 The author contrasts such scientific concepts grounded in solid evidence with prevalent misconceptions about life: specifically, the religious notion that there is a plan and purpose behind life, the widespread perception that intelligent design governs the workings of nature, the persistent belief in destiny and fate, and the attribution of an overly deterministic role to genes. This excellent introduction for laypersons to core ideas in biology goes a long way toward dispelling such misconceptions and presents current scientific research in clearly understandable, jargon-free terms. Again, this book is reviewed in Publisher’s Weekly. This new book of possible interest to readers would be a good one to request your academic library purchase, as it is a hefty price, as one of the co-authors notes in this list of what you could purchase instead for the same price. John P. Jackson Jr. and David J. Depew, Darwinism, Democracy, and Race: American Anthropology and Evolutionary Biology in the Twentieth Century (New York: Routledge, 2017), 252 pp. Publisher’s description Darwinism, Democracy, and Race examines the development and defence of an argument that arose at the boundary between anthropology and evolutionary biology in twentieth-century America. In its fully articulated form, this argument simultaneously discredited scientific racism and defended free human agency in Darwinian terms. The volume is timely because it gives readers a key to assessing contemporary debates about the biology of race. By working across disciplinary lines, the book’s focal figures–the anthropologist Franz Boas, the cultural anthropologist Alfred Kroeber, the geneticist Theodosius Dobzhansky, and the physical anthropologist Sherwood Washburn–found increasingly persuasive ways of cutting between genetic determinist and social constructionist views of race by grounding Boas’s racially egalitarian, culturally relativistic, and democratically pluralistic ethic in a distinctive version of the genetic theory of natural selection. Collaborators in making and defending this argument included Ashley Montagu, Stephen Jay Gould, and Richard Lewontin. Darwinism, Democracy, and Race will appeal to advanced undergraduates, graduate students, and academics interested in subjects including Philosophy, Critical Race Theory, Sociology of Race, History of Biology and Anthropology, and Rhetoric of Science. Abstract ‘Darwin was wrong’ was a headline that made news around the world in March 1956. Johannes Hürzeler, a Swiss palaeontologist, had just made public his theory that Oreopithecus bambolii, a fossil thus far classified as an extinct Old World monkey, was in fact a 12-million-year old hominid. That was 10 million years (!) older than the oldest hominids accepted at the time. Two years later he unearthed a complete skeleton of Oreopithecus in Italy. The echo of this discovery in the media was enormous yet the newspaper coverage in different western countries followed distinctive patterns. This paper will show these differences and point out possible explanations that go far beyond scientific disagreement. It will be argued that the press is a privileged source for comparing simultaneous reactions to the same scientific fact around the globe and for helping us discover national and supranational patterns of scientific discourse while linking them to their contexts. This paper also highlights the role of the news pieces as ‘supports of knowledge.’ Just like bones or scientific articles, news items circulate prompting in turn the circulation of other ‘supports of knowledge’ such as fossil remains or scientists. The whole issue is devoted to articles on the construction of prehistoric knowledge. Abstract For decades creationists have claimed that Charles Darwin sought the skulls of full-blooded Aboriginal Tasmanian people when only four were left alive. 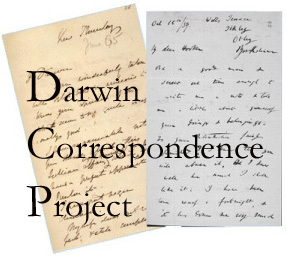 It is said that Darwin letters survive which reveal this startling and distasteful truth. Tracing these claims back to their origins, however, reveals a different, if not unfamiliar story. Abstract Throughout the twentieth century, contemporary understandings of evolutionary theory were tightly linked to visions of the future freighted with moral consequence. This essay traces the origins and legacy of this scientific commitment to a universal family of man in postwar evolutionary theory, and elaborates how evolutionary scientists sought to reframe the politics of human evolution by claiming that the principles governing the physical past of humanity differed fundamentally from those that would matter in the coming decades, centuries, or even millennia. Education and public engagement embodied the moral importance of actively participating in the creation of that better, future world. Abstract Toward the end of The Descent of Man, Darwin made a striking assertion. “I would as soon be descended,” he claimed, from a “heroic little monkey” than from a “savage” who practiced torture and infanticide, treated “wives like slaves,” and was indecent and superstitious. These lines have been often quoted but rarely analyzed. I argue here that they provide a means for following Darwin’s thought as he grappled with contemporary ethnological evidence that seemed—if today’s “savages” were to be taken as models for primeval humans—to work against his theory of sexual selection as it applied to humankind. In addition to explicating what I suggest is a crucial element of Descent, this paper has three aims, all of which help us better understand the relationships between ethnology and Darwinian thought. First, to offer a selective intellectual history of British ethnology between 1864 and 1871, focusing on those texts that Darwin deemed most problematic for his arguments. Second, and as a result, to better specify Darwin’s views on race by comparing him not to his opponents, but to his like-minded peers, a group I term “liberal racialists.” Third, to explore the utility of what I term the “geological analogy,” a mid-nineteenth-century version of the comparative method (which substituted study of “less developed” peoples today for humans in much earlier periods). Where liberal ethnologists deployed the geological analogy consistently, Darwin would be much more selective, denying its application at times in favor of analogies to lower animals. He would thus save his theoretical suppositions by denying that contemporary “lower” races, with their depraved morality, could serve as appropriate models for our apparently more decent, yet more animalistic forebears.